Identify the basic focus of national energy conservation codes for buildings, including ways that computer software helps demonstrate compliance. 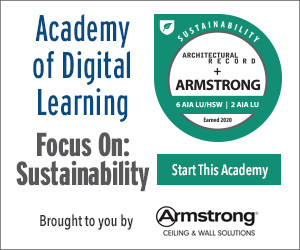 Investigate voluntary standards that allow for independent certification of green and sustainable buildings that go beyond code minimum levels of energy conservation with the aid of building information modeling and related software. Define net-zero energy buildings and target dates for all buildings to be designed to achieve that capability. 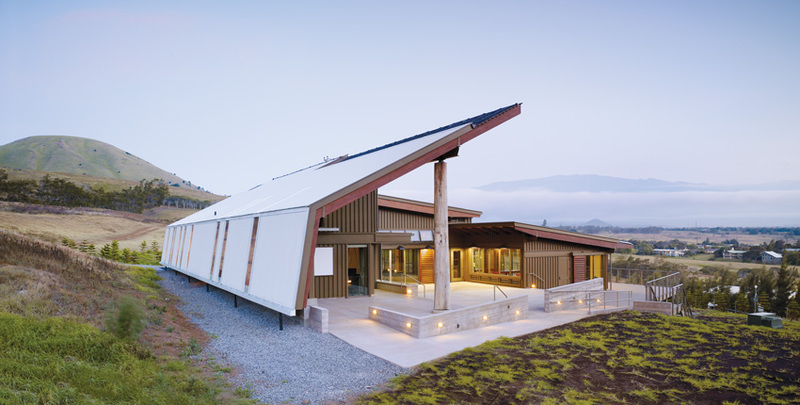 Consider designing very high-performance, net-zero energy buildings using available building information modeling software as an effective design tool. Energy efficiency in buildings has been a hot topic ever since the 1970s oil crisis focused public and private attention on the matter. Since then, an increasing number of mandatory and voluntary codes and standards have been developed that impact building design. Each of them have been updated and sometimes expanded based on input from regulators, designers, constructors, owners, and others. All of these codes and standards have been informed, and in part made possible, by the availability of computer software programs that allow for total building assessments of energy use under defined conditions. Beyond creating a separate, computerized energy model of a building, architects and other design professionals are now also able to use building information model (BIM) software to design, assess, and revise a building to achieve targeted levels of energy performance. Some BIM software has inherent energy analysis capabilities, while others link to separate specialized software based on information available in the building model. In this course, we will look at the current status of some of the best-known and most-used energy codes and standards, and how computer analysis is an integral part of not only demonstrating performance, but also a tool that helps with making better design decisions. Designing buildings to be energy efficient enough to meet or exceed selected codes and standards is made more effective and easier through the use of building information modeling (BIM) software. While most architects and engineers are familiar with the need to address energy codes, there are in fact multiple codes that may be in play at any given time. The building envelope (or building enclosure), including insulated walls, floors, and roofs; fenestration such as windows, doors, and skylights; and reducing air infiltration. It is generally regarded that addressing all of these areas first is the most cost-effective and efficient means of reducing a building’s need for energy to run the other three systems below. HVAC systems, including requirements for proper system sizing, equipment efficiencies, controls, and other items. Electrical systems used for lighting and electrical equipment. 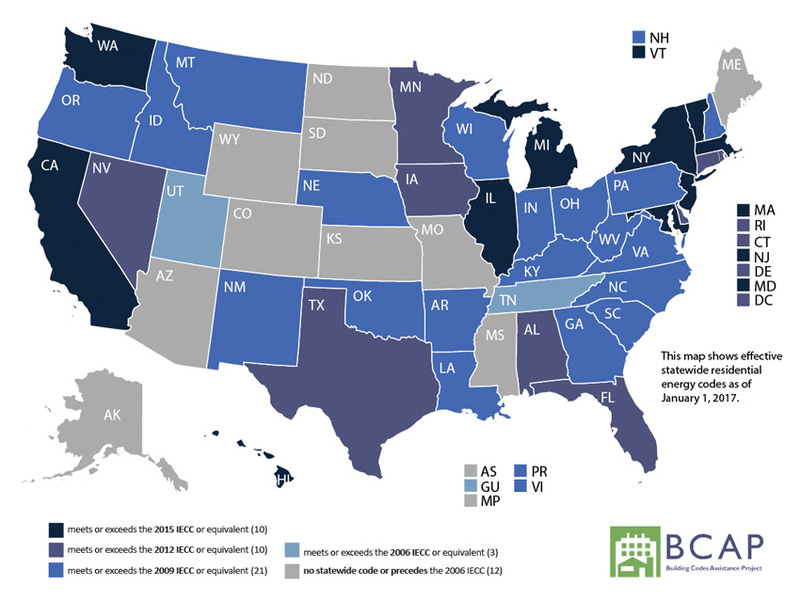 The not-for-profit Building Codes Assistance Project (BCAP) keeps track of which version of the IECC energy code has been adopted by different states and jurisdictions around the country. During the time that the IECC was being developed in the 1990s, the American Society of Heating Refrigeration and Air Conditioning Engineers (ASHRAE) was also developing a standard for energy-efficient design in commercial buildings. Currently known as ANSI/ASHRAE/IES Standard 90.1: Energy Standard for Buildings Except Low-Rise Residential Buildings, it has similarly been updated regularly since 1999 with input primarily from the engineering community. As of 2017, the versions in use around the country include the 2010, 2013, and 2016 editions. The IECC recognizes this standard as producing energy performance equivalent, albeit not identical, to its own buildings. Therefore, the code allows this standard to be selected and followed to demonstrate compliance for commercial buildings, provided it is used singularly for that purpose—it is not possible to select some provisions from the IECC and others from ASHRAE 90.1 within a single building design. The reasoning is simple: they each have slightly different requirements that work together to produce an efficient building system but cannot be mixed and matched and still show the same results. Generally speaking, the IECC has more stringent building envelope requirements, while ASHRAE 90.1 has more stringent mechanical and electrical requirements, although actual differences will vary based on building types, sizes, and other details. 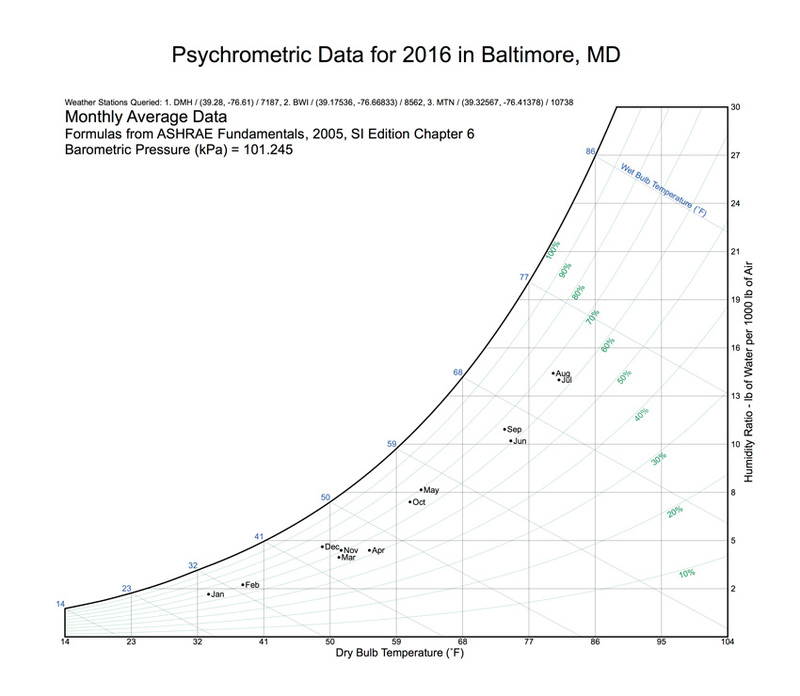 Image courtesy of Vectorworks, Inc.
An interactive psychrometric chart using calculations based on ASHRAE standards can be created within BIM software to determine comfort ranges that contribute to energy efficiency.